SoundInDepth Audio Converter Extractor Max is a product developed by soundindepth. We know of version 1.0. Version 1.0.0005 is available for download at our site. 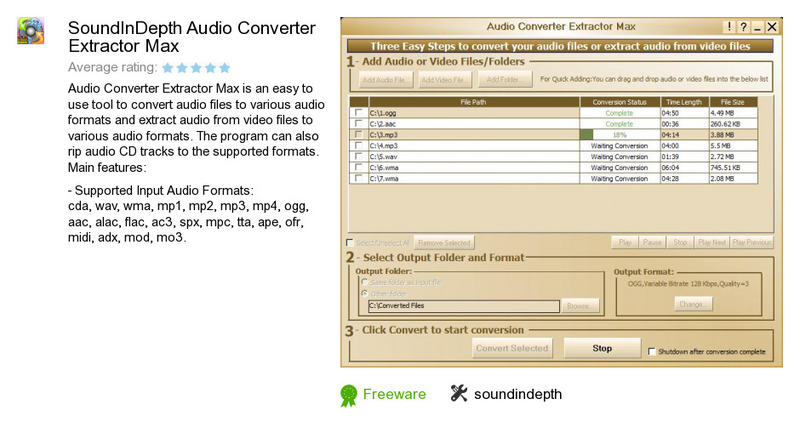 SoundInDepth Audio Converter Extractor Max distributive has a size of 6,187,490 bytes. Soundindepth also publishes SoundInDepth.com DVD Player and SoundInDepth iPodCopier.